DD Security Service provides Basic Security Training for all security personnel as international standards for private security. We train our trainees in CTEVT (Nepal) recommend Course to deploy our Security Personnel in Nepalese market context. Basic training mainly covers the general subjects of private security. The close protection is a dynamic and fast evolving career of the security industry and is itself comprised of several nuanced areas of expertise, such as; celebrity, VIP and high net worth protection. The role is demanding, competitive and requires dedication beyond that which most jobs ask. However, it can also be an incredibly rewarding profession, allowing you a view of the world that you would never normally see. This, coupled with the expectation of good salaries, have made close protection an increasingly popular career choice. Below are the training dates. Please click on dates and fill the form to apply. Anytime there is a large gathering of people for an event, security needs to be on staff to protect the people attending in addition to helping and controlling crowds if things get out of control. Event security is also on staff to keep entertainers and members of the event staff safe in addition to monitoring for illegal substances, dangerous persons or threats. 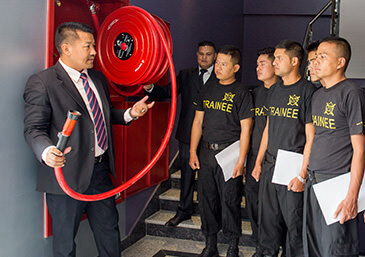 Our training programs provide instruction in fire prevention, fire suppression techniques, hazardous materials control, CPR, and chain-of-command protocols. Through simulation exercises and other hands-on training, candidates become familiar with how to use and operate fire engines, fire extinguishers, ladders, hoses, axes, and other firefighting equipment. Training also covers such topics as fire investigation, wildland fires, breathing apparatuses, personal protective equipment, and salvage operations. 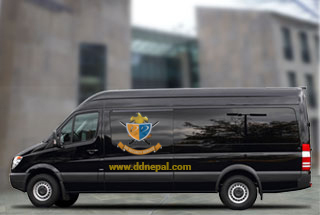 DD Security is able to provide executive protection to anyone that may need it. The type of people that ask for VIP security protection may include celebrities, politicians, dignitaries, and business executives and those person who have had some sort of threat against them. These Procedures govern the handling, receipting, depositing, transporting and reporting of all City cash operations. The term �City Cash� applies to currency, coin, checks, credit and debit card payments, electronic payment media and other negotiable instruments payable in money to the City. The DD Security will provide the trained security guards for this cash handling process. 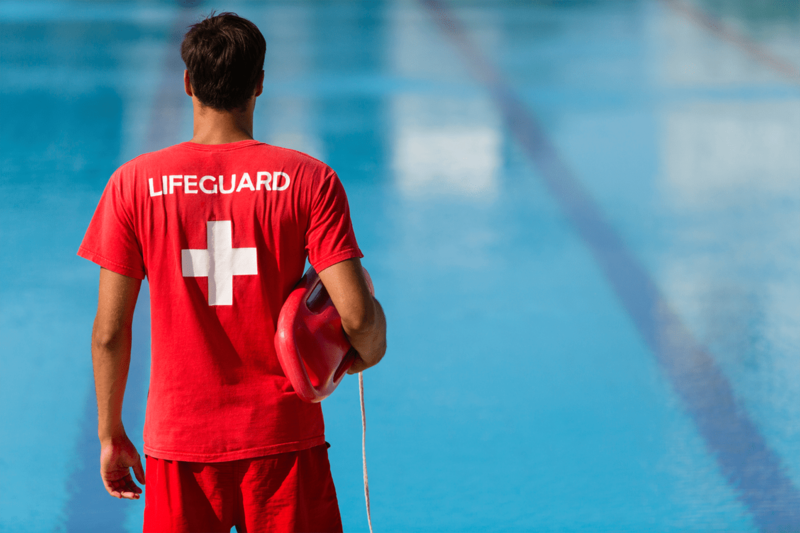 DD Security provides lifeguard training and other requirements necessary to qualify for lifeguard as a serious career. To enter a training program and recognized as a professional lifeguard we provided training on variety of abilities and skills to apply life-saving techniques to potential victims in the water. Becoming a K-9 dog handler is a highly desirable career opportunity. 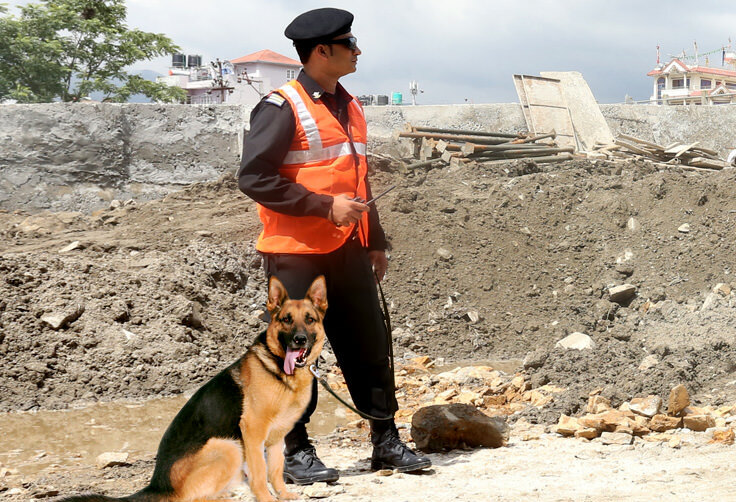 They work closely with their canine partners to apprehend crime and implement a series of other tasks at the given work scope area. In order to become a K-9 officer, you need experience proper training, and DD Security provides special training on how to work and treat the dog that will be assigned as the partner. Full training is provided at our complete facility when you join DD Security. During the course, you will be given all the information and training that you need to be successful in your new career. 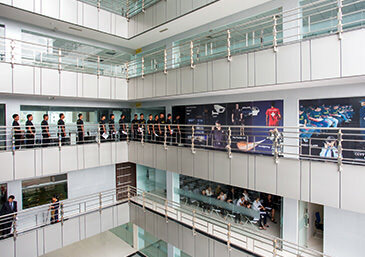 Our course is a combination of competency-based and skill development program. As you acquire more complex skills and successfully complete your levels, our progressive model gives more challenging work roles. The training program holds theoretical classes to provide theoretical knowledge and understanding about the training as a whole. About 60% of the total duration has been allocated for the theoretical classes. The classes cover a broader knowledge related to basic security as per basic training syllabus. The program requires the actual practice to work in the field using the theoretical knowledge. Almost 40% of the total curriculum holds practical classes that guide trainees towards perfection and ready to be placed on job. Normally the practical knowledge will be provide for physical training (like PT, UC, Drill etc), searching and patrolling procedure in the ground. The exposure to the online system to the trainees in today's world is essential and almost undeniable. Thus our websites and learning portals provides access to the trainees of specialized training to learn online, so that they can be updated through different practical problems and digital Medias about their everyday nature of job. Join our team & start your career as a DD Security Officer. It's our mission to recruit Security Personals! Copyright © 2018. DD Security Services. All Rights Reserved.